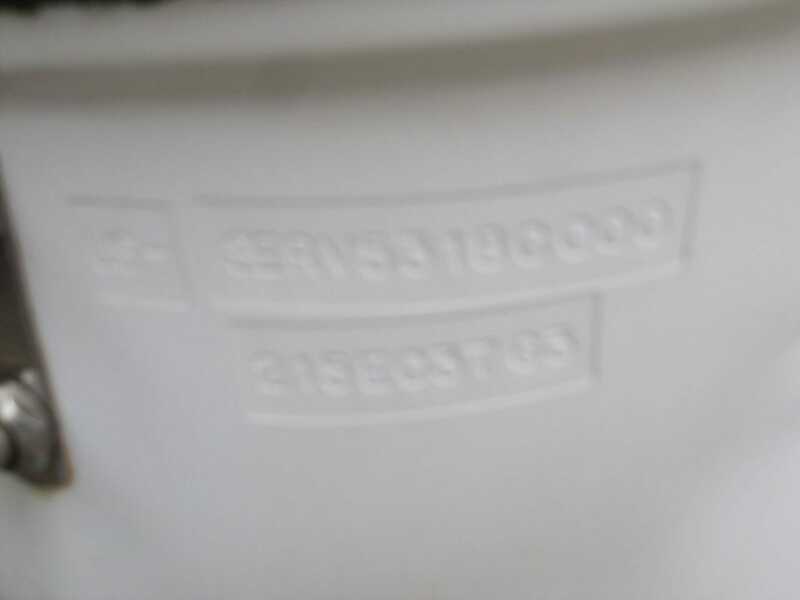 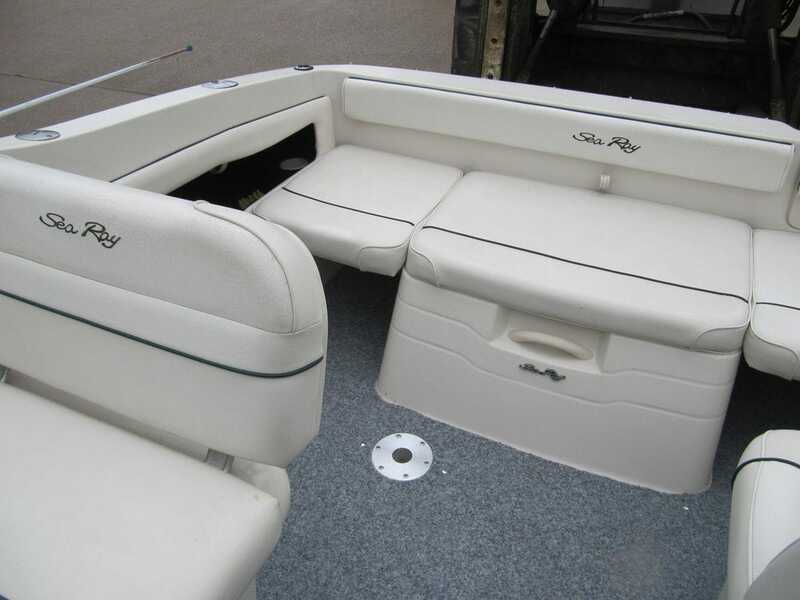 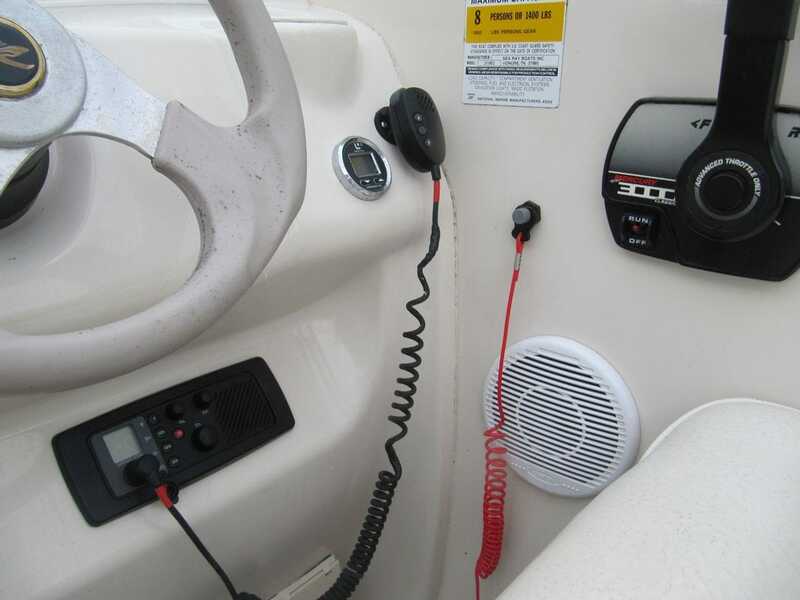 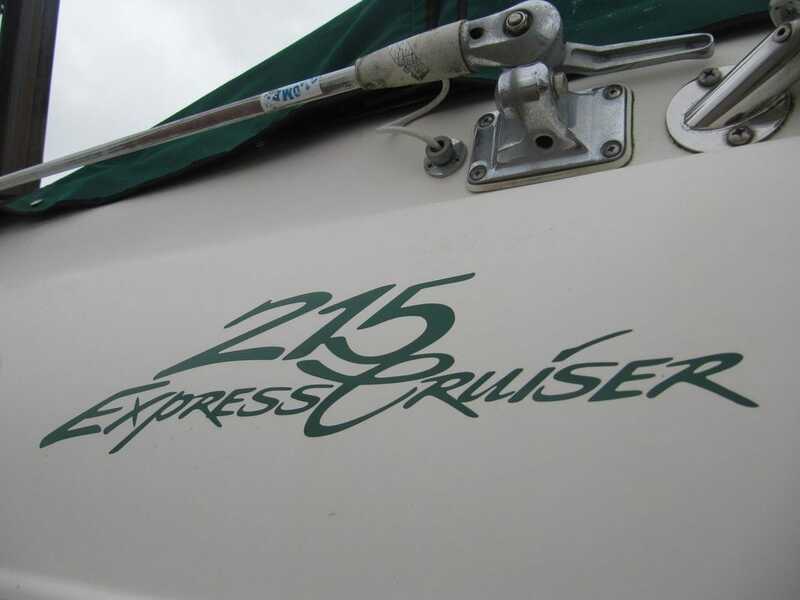 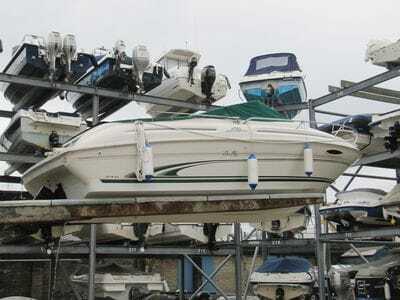 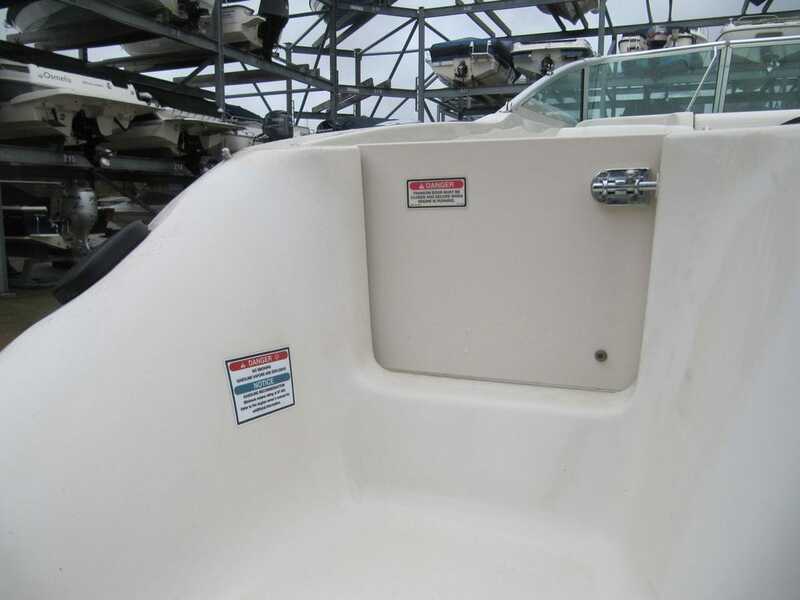 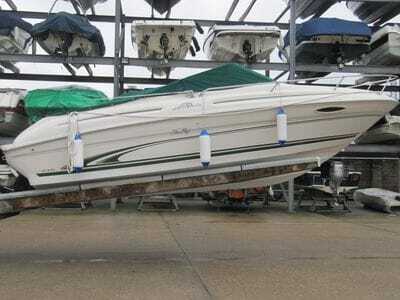 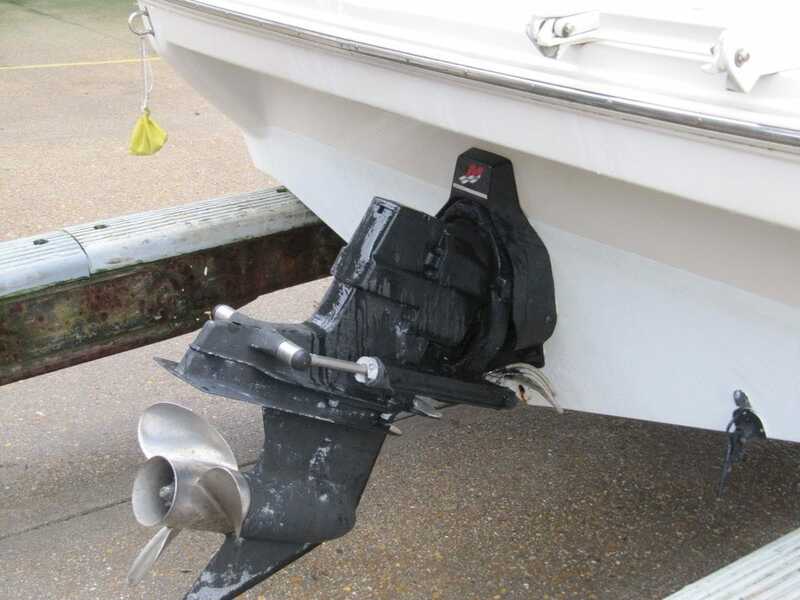 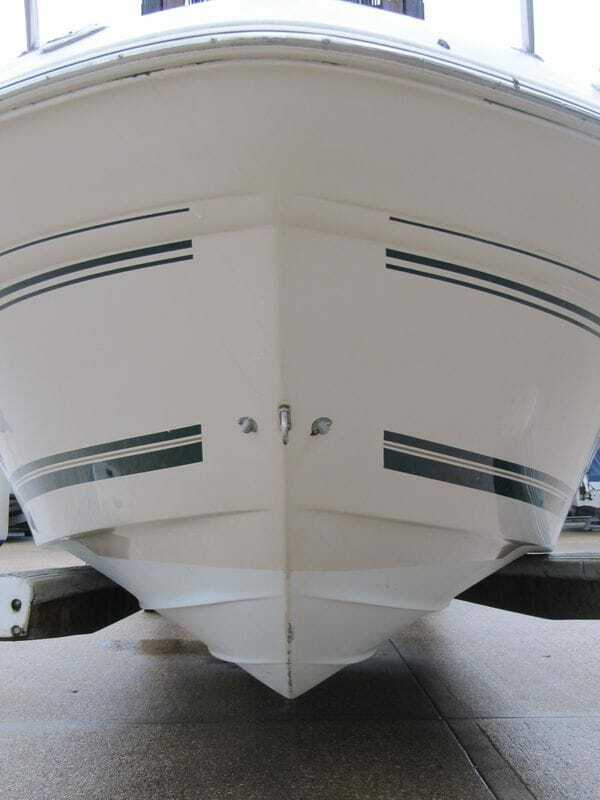 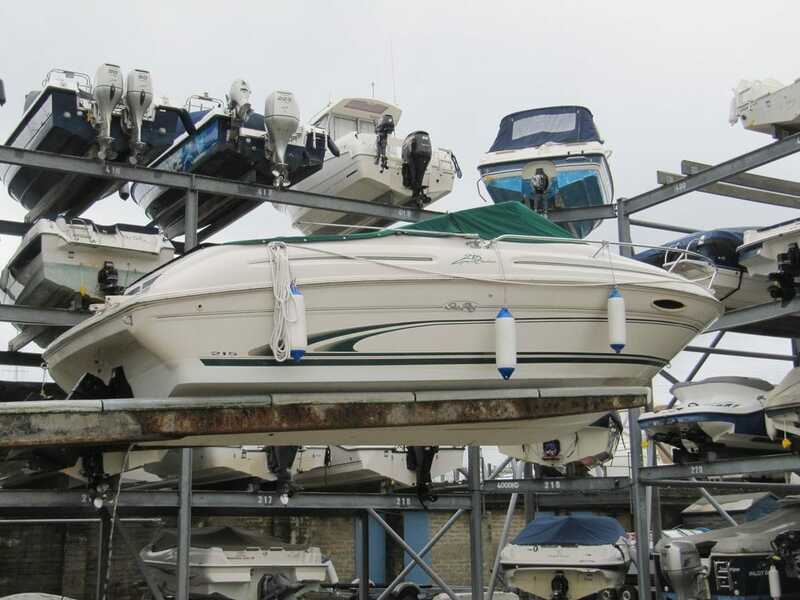 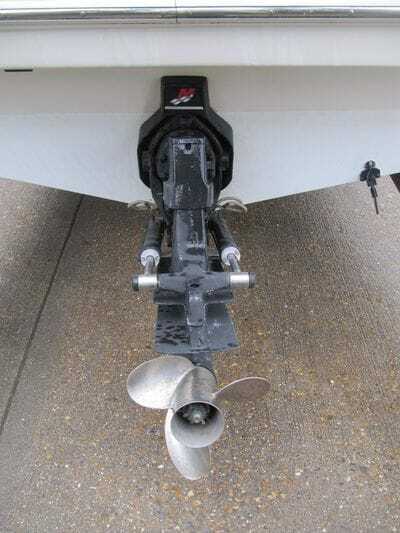 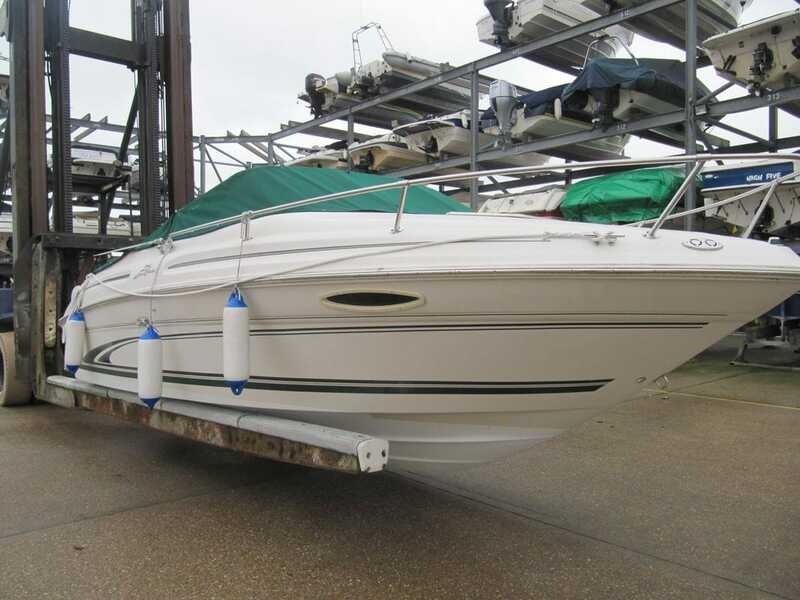 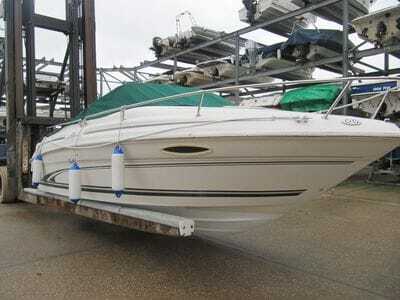 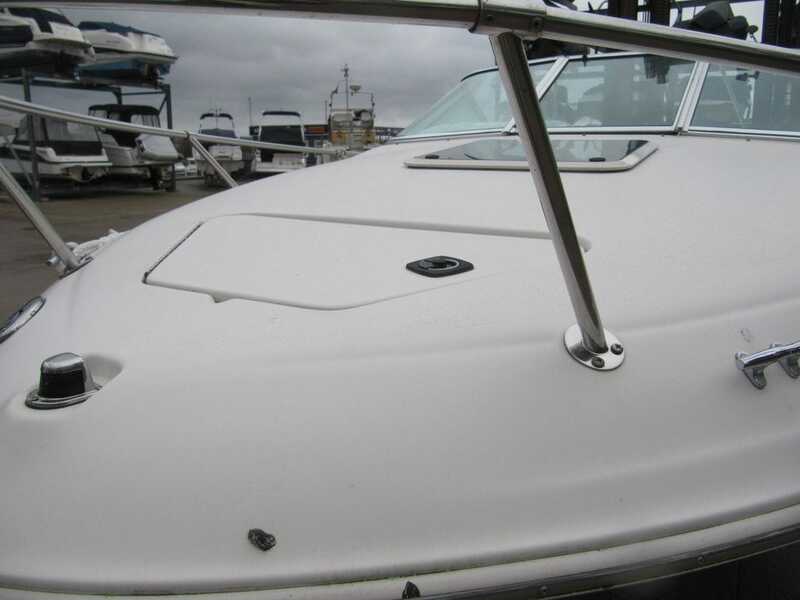 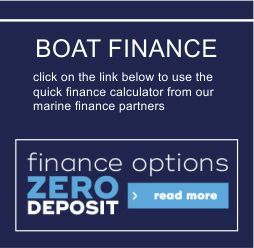 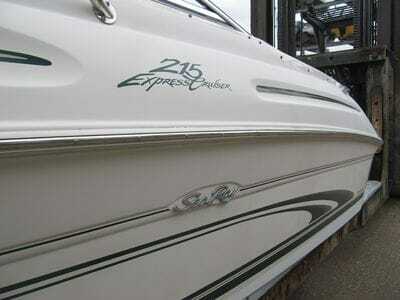 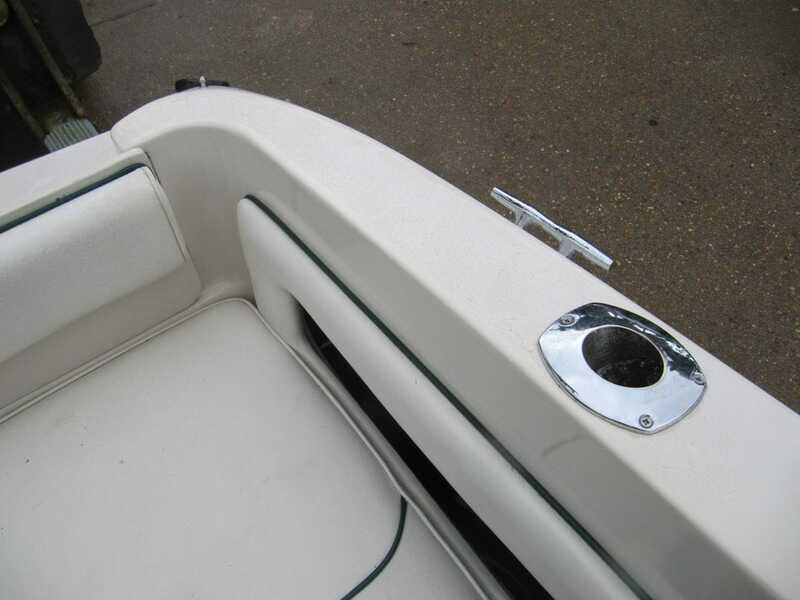 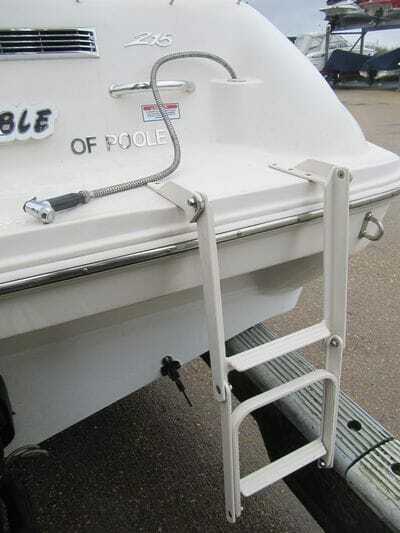 This boat has been meticulously maintained by the current owner. Dry stack stored here at Cobbs Quay, she is the perfect family weekender / all-rounder. 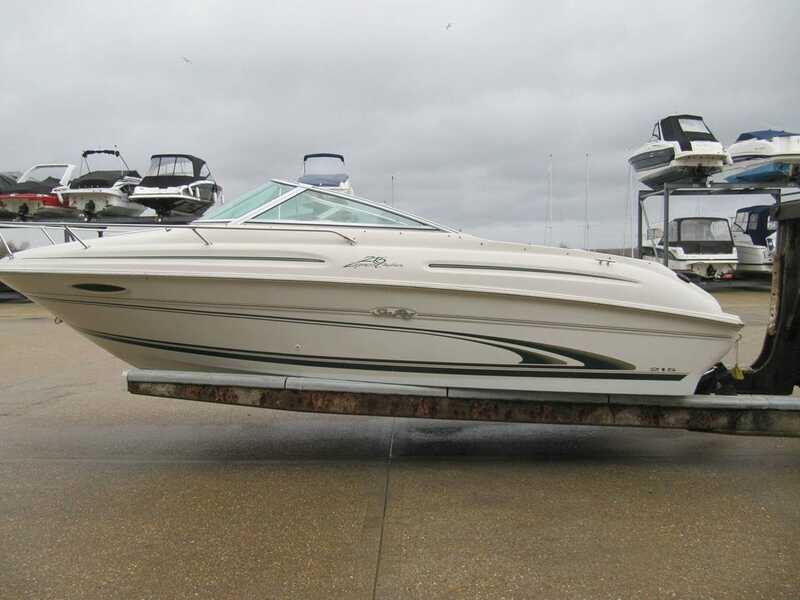 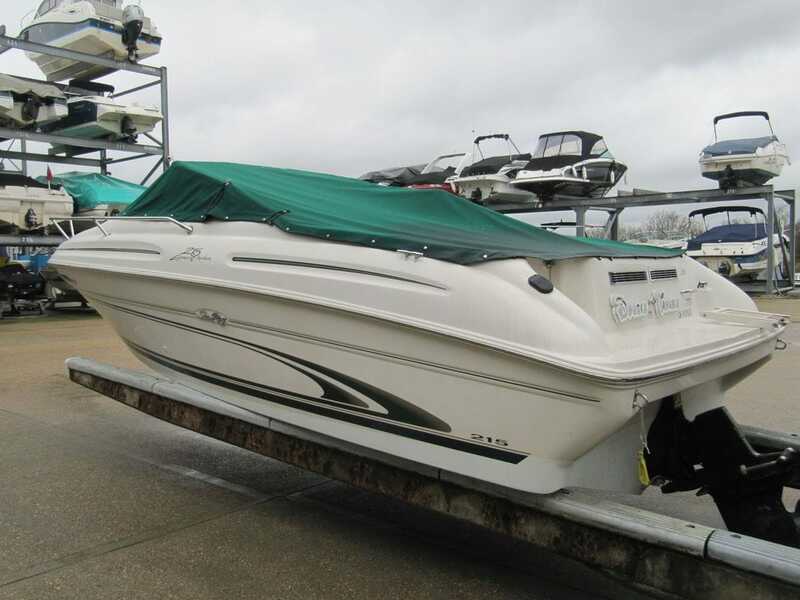 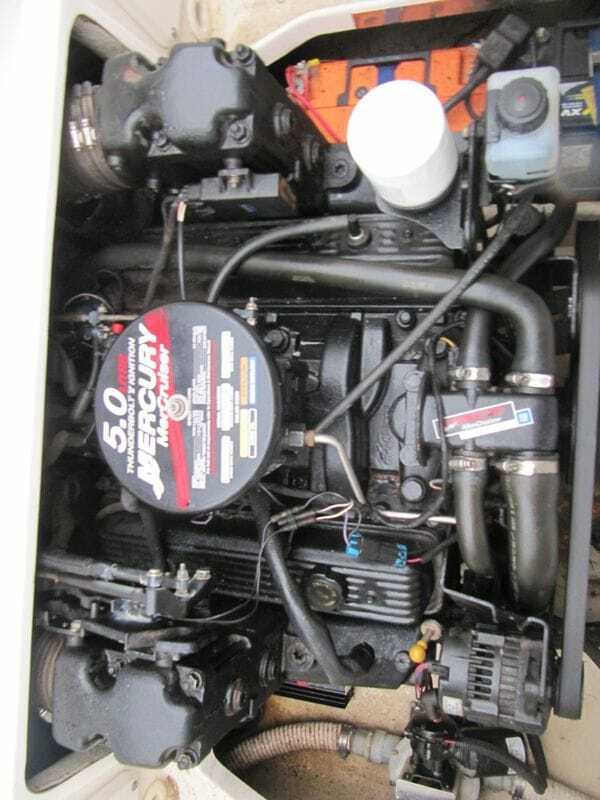 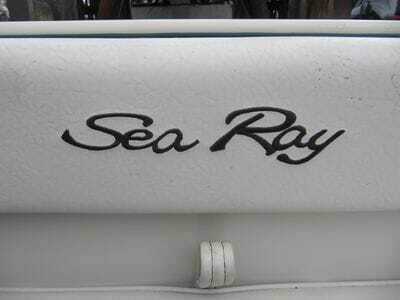 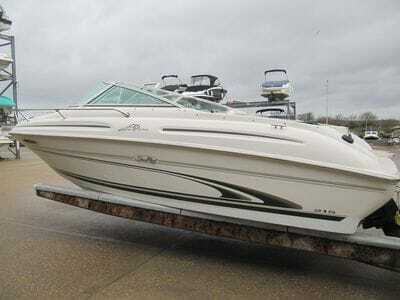 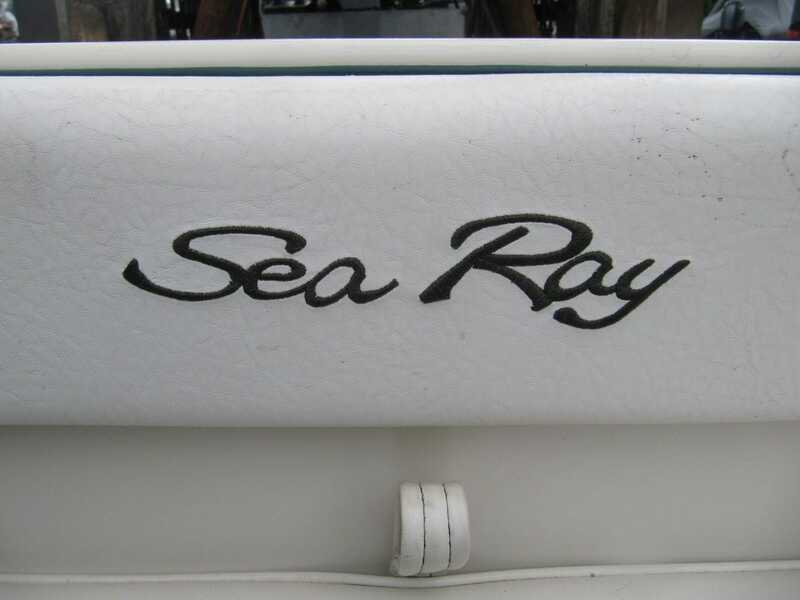 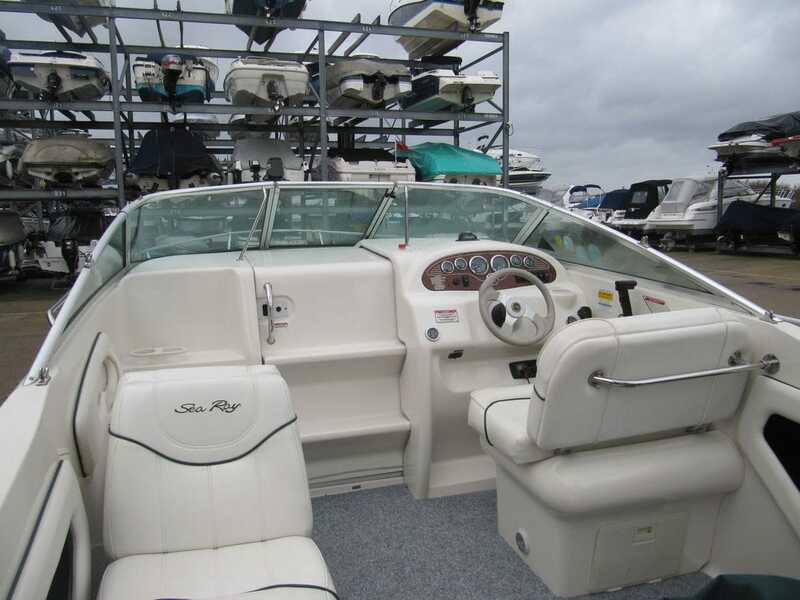 Sea Ray’s 215 EC combines overnight comforts and sporty performance. 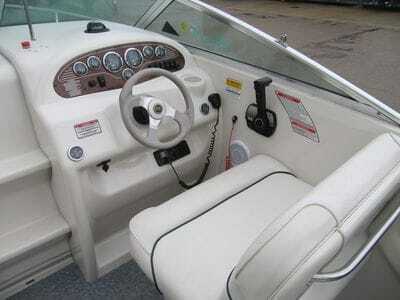 The boat rides a modified-vee hull powered by a 220-hp petrol V-8. Cruising speed was listed at 37 mph, with a top end of 48 mph. 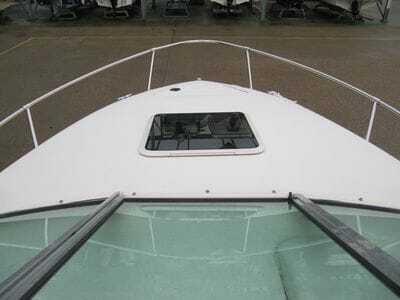 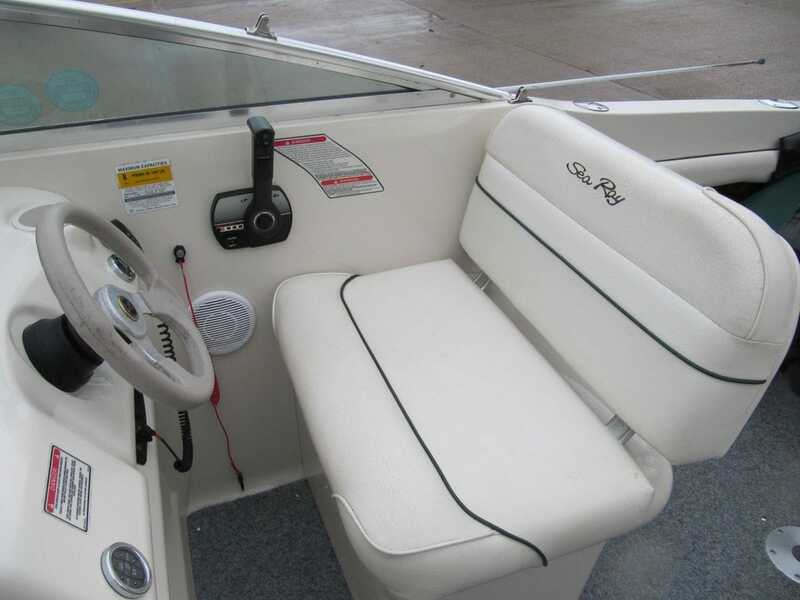 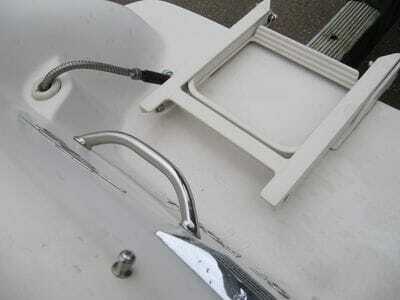 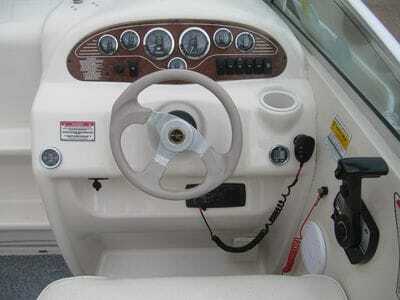 The companionway door slides up and forward beneath the windshield for easy access to the cuddy. Below there’s a separate compartment to starboard with room for a portable head, closed off with a sliding curtain/door. 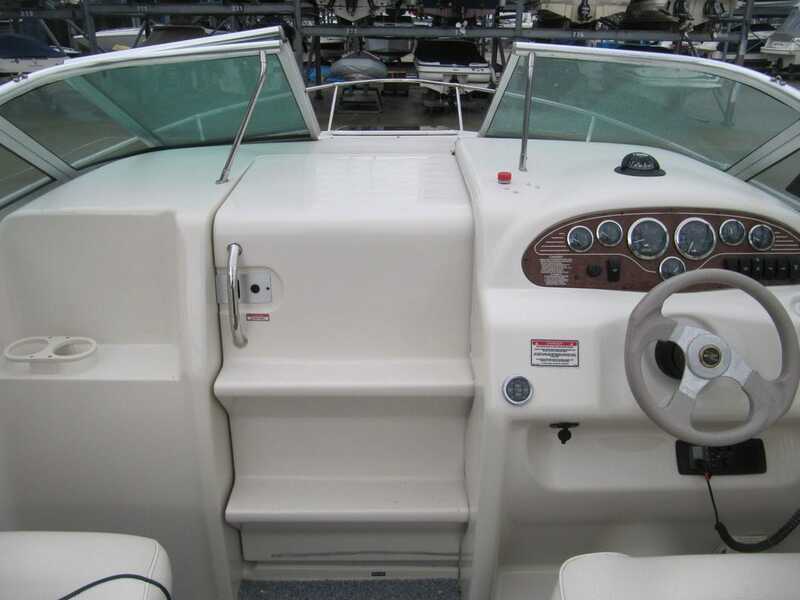 The camp-style galley is to port, and the basic gear includes a sink with cold water and an insulated ice chest. 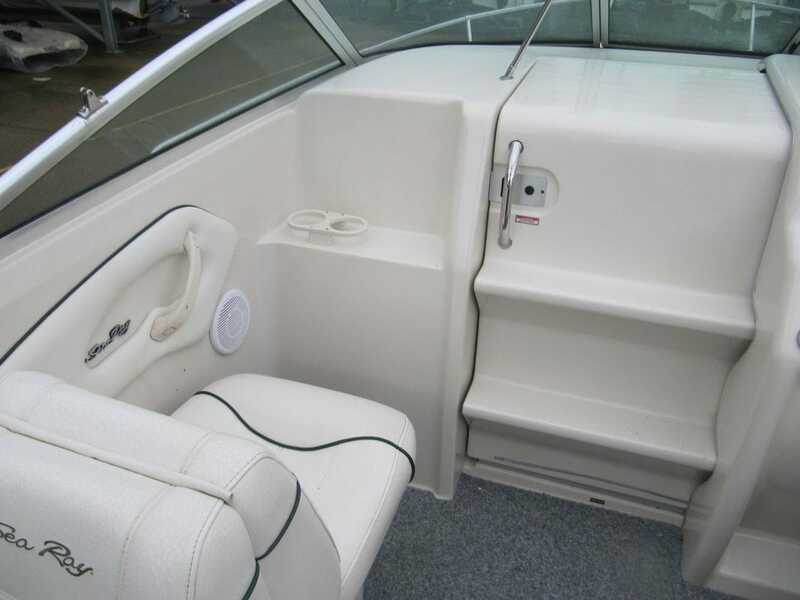 The V-berth is big enough for two (with an insert) beneath a large hatch. 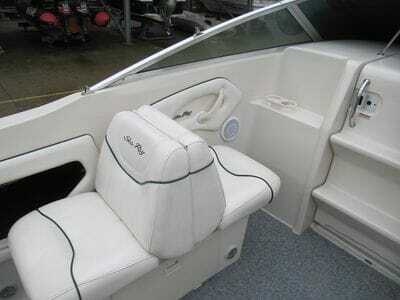 It converts to become the dinette, with a table and room for four adults.